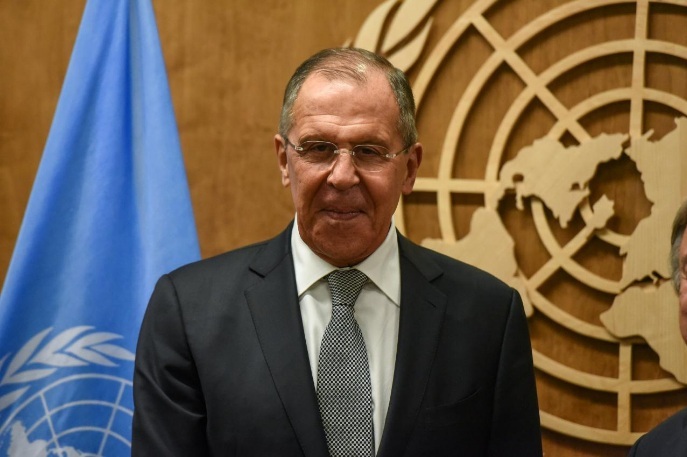 Russia's Foreign Minister Sergey Lavrov poses for a photograph at the 72nd United Nations General Assembly at the U.N. headquarters in New York City, U.S., September 21, 2017. UNITED NATIONS - Russia’s foreign minister said on Friday the leaders of North Korea and the United States should tone down their bellicose rhetoric and warned that a collapse of a nuclear deal between Iran and world powers would only embolden Pyongyang. Russia’s foreign minister said on Friday the leaders of North Korea and the United States should tone down their bellicose rhetoric and warned that a collapse of a nuclear deal between Iran and world powers would only embolden Pyongyang.